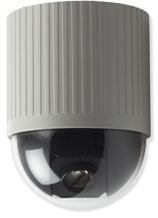 High resolution colour internal medium speed dome camera with a built in 220 x zoom lens. controller or a compatible DVR. The camera uses RS485 PELCO-D / P to communicate. options are set-up in the on screen display. If you have any special or unusual camera requirements please dont hesitate to ask.